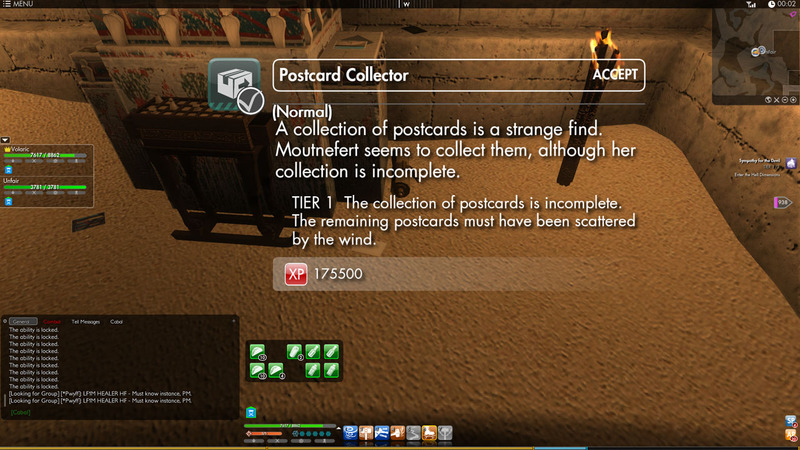 Start out by examining the Postcard Collection. 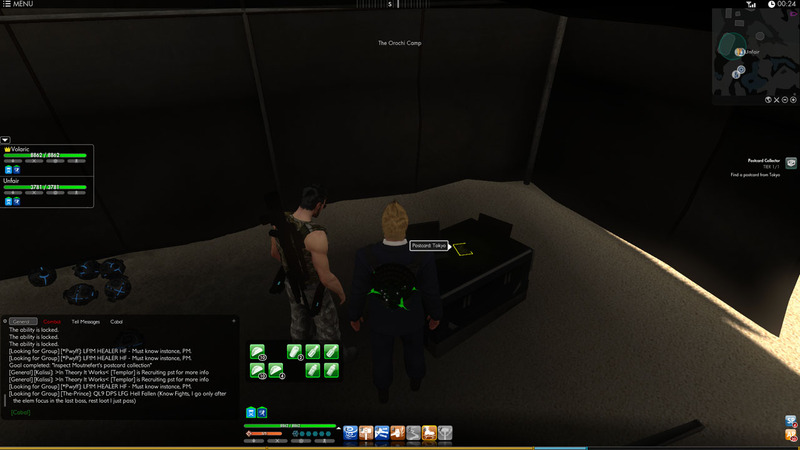 The Postcard From Tokyo that you need is at the Orochi Camp in the Upper Left hand corner of the zone, inside a tent, on the desk. When you have the card, return to Moutnefert to finish the mission. 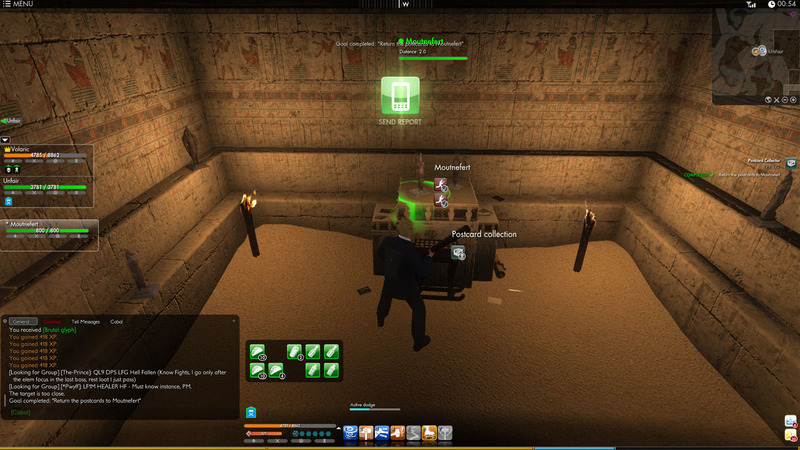 Found my postcard from Egypt at 266,589 in the City of the Sun God. 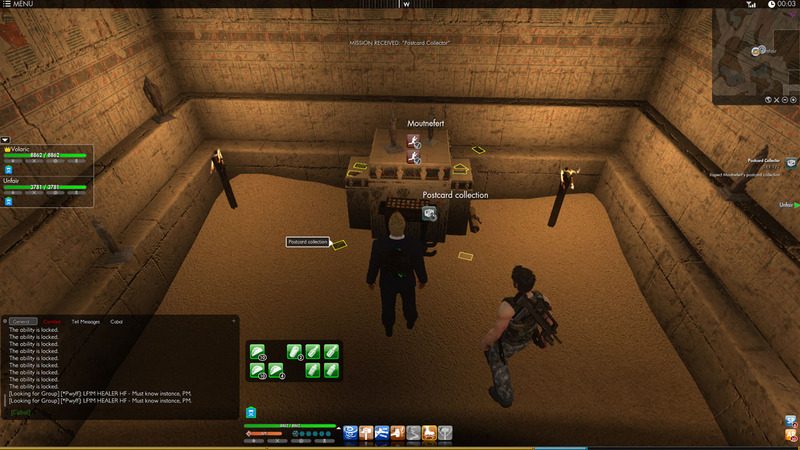 Moved all the way through the Necropolis, but found a quicker way in @ 977,677. The temple entrance behind Amir.